Inspired Energy Plc (IES) is a rarity among small energy-related companies: not only has it made a profit for the last five years but it has been able to pay dividends that have steadily increased from 0.16p per share for 2013 to 0.38 for 2016. As a result the share price has grown steadily, albeit not spectacularly, from 4.38 pence at the end of 2012 to 19.25p today. During the same period revenue grew from £5m to £22m and profit after tax from £0.6m to £3.4m. The company now has over 300 employees managing more than 10,000 clients. Market capitalisation stands at £109m. IES is an energy broker based in Kirkham Lancashire, that offers services to commercial, industrial and government organisations to handle their electricity and gas requirements. The services fall into two groups: energy procurement, concerned with negotiating electricity and gas contracts, and bureau services, concerned with managing the contracts. The company is organised in two divisions, the Corporate Division handling larger clients and the SME division for smaller clients. IES has grown mainly by taking over smaller brokers in different geographical areas. In 2017 alone the Corporate Division added three more: Flexible Energy Management Ltd, who are based in Manchester and are focused on NHS trusts and other public sector bodies; Churchcom, who are based in County Durham and procure energy for churches and others; and Horizon, who are based in Cork and claim to be the largest energy broker in Ireland. Both divisions also grew organically for the half-year to June 30 2017, the SME division by 15 per cent. Many of the bureau services are ones that organisations prefer to outsource because it is easier and cheaper in the long run, for example checking bills and identifying errors, tracing non-paying tenants or locating disconnected meters. 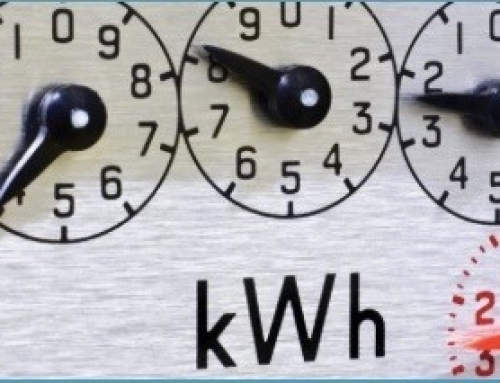 Other services require specialist knowledge of the UK energy system. For example, the Triads are three half-hour periods of maximum demand between November 1 and February 28, usually between 5 and 6 pm, which the National Grid uses to determine how much major energy consumers should contribute to the grid for the year. Energy brokers such as IES have created a business by predicting when the triads will occur and convincing their customers to reduce demand for the relevant period. While this may seem somewhat of a game to the benefit of brokers, National Grid says that up to 2GW is switched off at the peak so that less total capacity is needed. Brokers are not always popular because of the feeling that one ought to do better without the middleman. They are certainly helped when the system is complex, and the UK system is indeed complex, as pointed out by Professor Dieter Helm in his recent Cost of Energy review. Smart meters and renewable energy might mean less need for the middleman in the long run but it is difficult to see this happening soon. Meanwhile IES looks in good financial health. Although extra debt was taken on to facilitate purchases, total bank borrowings at June 30 2017 were £12m but earnings before interest, tax, depreciation and amortisation for the previous half year were a substantial £5.3m. The only surprise is that Janet Goodman, who founded IES in 2000 resigned as CEO on October 11 for personal reasons. Mark Dickinson, the Chief Operating Officer, is taking over.